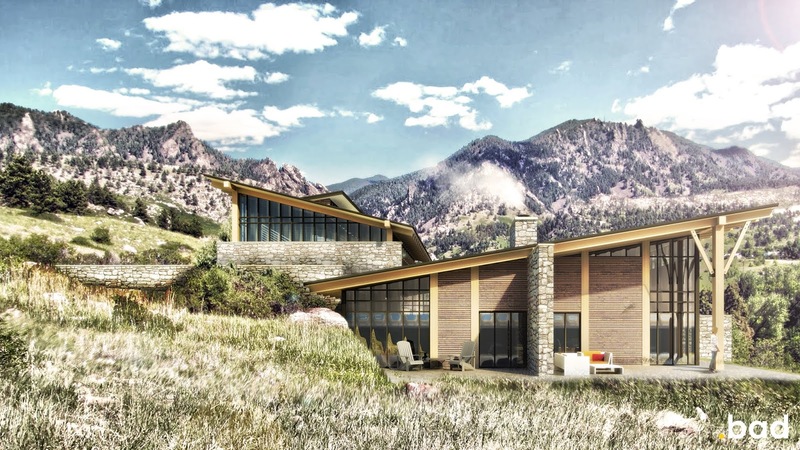 Rocky Mountain Modern is a residential project in Boulder, Colorado that my colleague and I designed. It started out with a design competition that was meant to be developed to a schematic design level. Then continued on to be further developed and constructed. Unfortunately, the project itself was cancelled for budgetary reasons before construction could begin (I know, that never happens, right?). 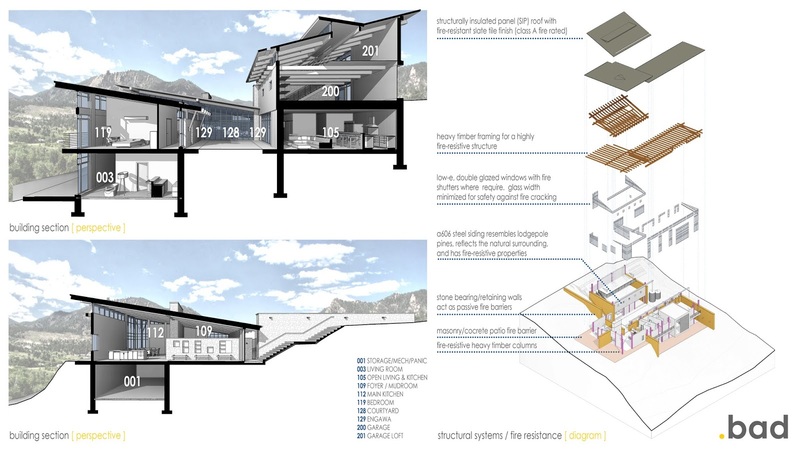 Nonetheless, it remains a great case-study project for Revit presentation graphics and renderings. 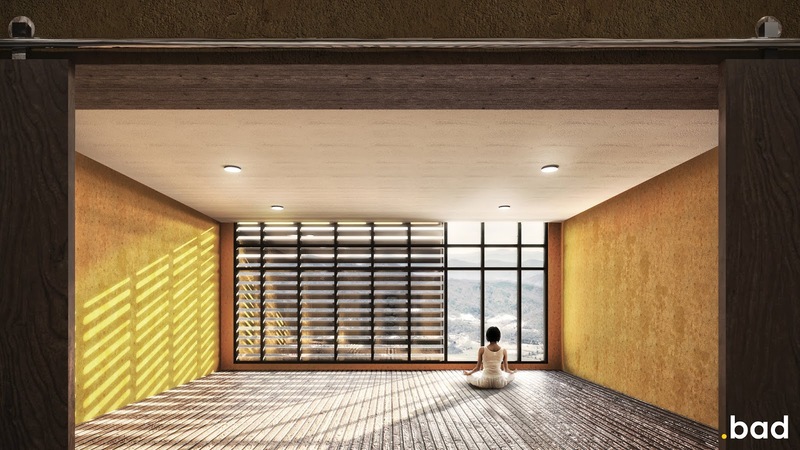 In fact, this is one of the last projects I used “native” Revit renderings on before entering the world of real-time rendering (like Lumion). 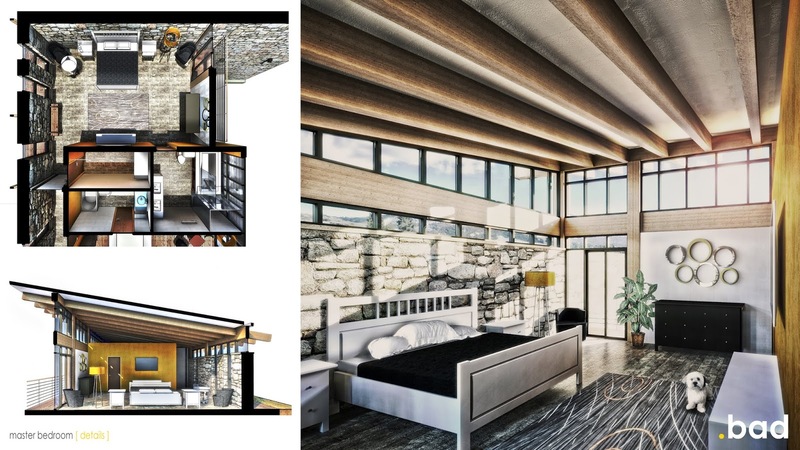 In fact, this project marks a major turning point in my Revit presentation development because it was the first one I used the skills I learned teaching myself V-Ray and applying them to Revit. 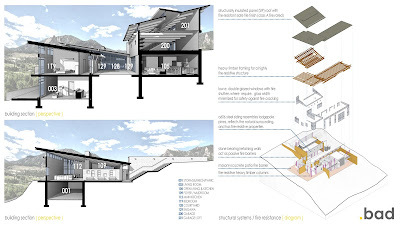 In the paragraphs below I will walk through some of the pages from the presentation booklet of Rocky Mountain modern. 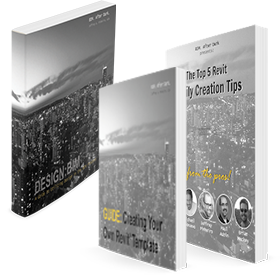 On each page, I will be highlighting what techniques were used and even giving some tips on how to accomplish the look, style, feel, or content within Revit (and maybe some associated programs). In the above image there are a few things at play. 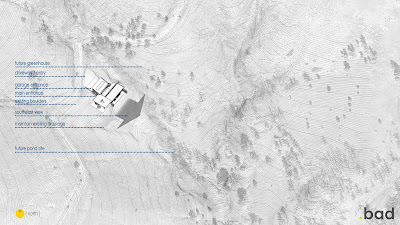 First, the site plan was modeled in Revit. I used the "Auto-Click" technique to create topography quickly. Then, some tweaks to the contour line graphics and an overlay in Photoshop. 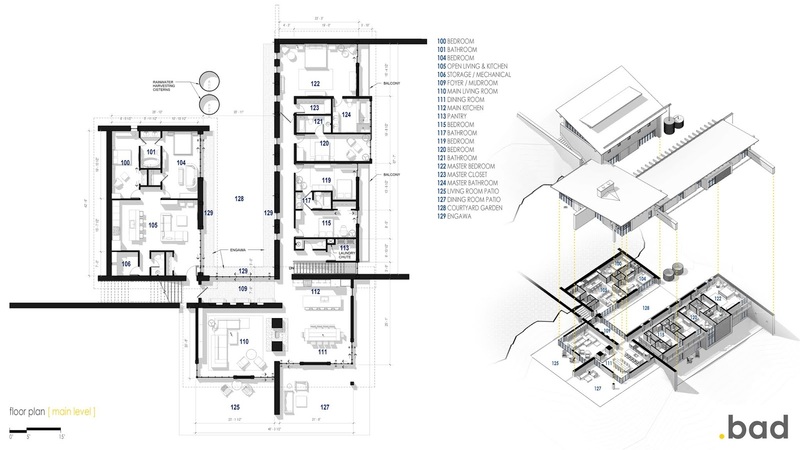 I was extremely excited with the look and feel of these floor plans when we put them together. All of the views apply my "70/50/20 Rule" for shading and shadows. Changing the fill pattern of the walls and other items to solid black and adding "Architectural Record style" room tags puts the cherry on top. 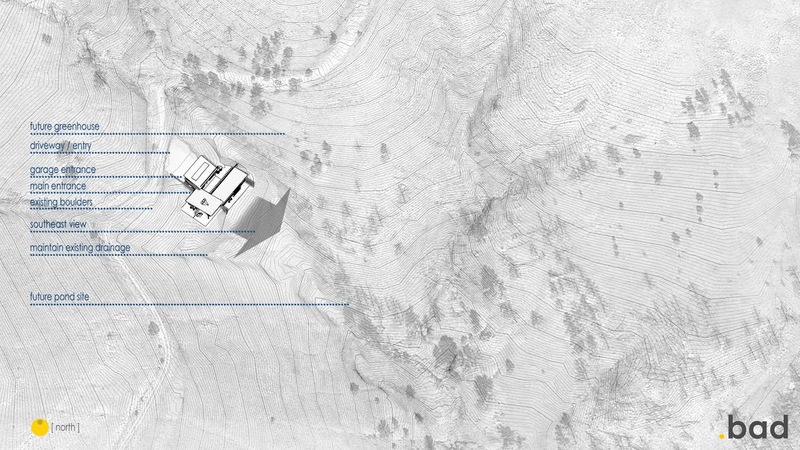 The exploded axonometric diagrams were developed for two different reasons. First, to show the floor plan in 3-dimensions. The second was to highlight the structural systems, components, and layouts. 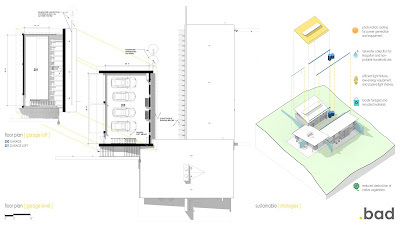 The top diagram was created using sections boxes, exporting, and overlaying in Photoshop. The bottom diagram was created using the displacement tool. 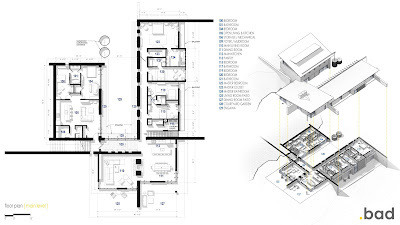 The elevations and sections were all about adding depth and explaining the various "steps" in the building. The elevations use the 70/50/20 rule, glazing override technique, and depth cueing (at the time, it was a manual halftone). We decided to go with section perspectives because we felt as thought they were the easiest to comprehend. Adding dark poche and the 70/50/20 rule, along with a little Photoshop underlay, created a soft image with a ton of depth. 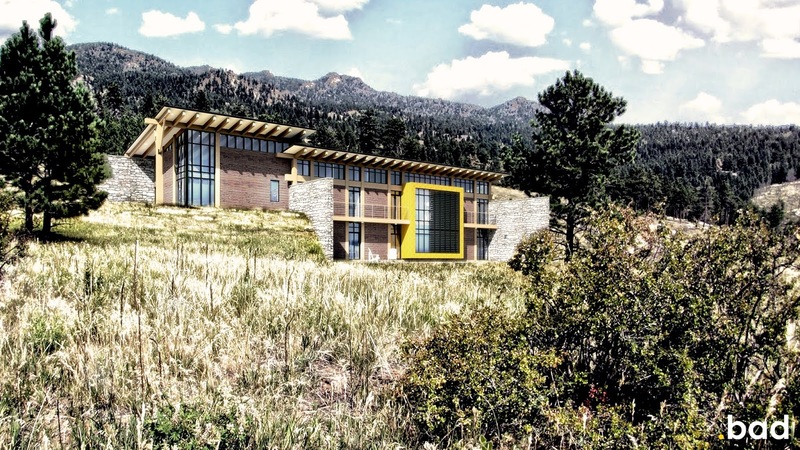 The renderings are where this project really shined. All of the renderings were created using the native Revit rendering engine (we didn't even have cloud access at this point). The key to these renderings was all of the custom materials, quality "background" images, and a fairly detailed model. 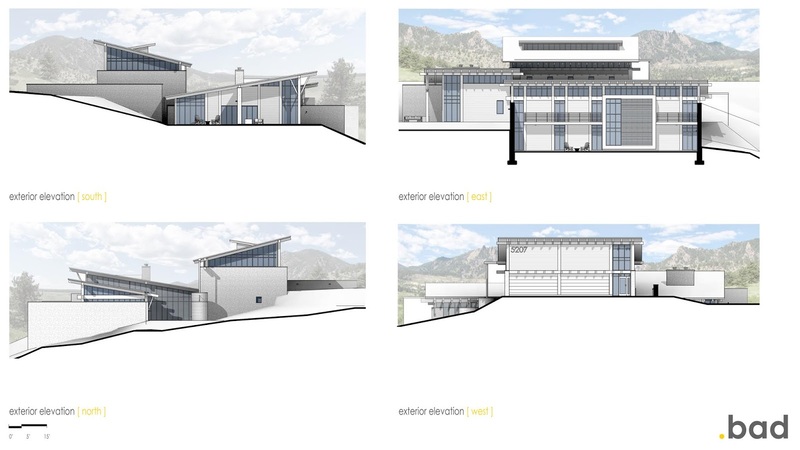 Of course, all of the renderings were also passed through a Photoshop post-processing workflow. Simple adjustments of levels, contrast, saturation, etc... were applied. Then I added some "bloom" with a simply Photoshop technique. Finally, enhanced the shadows and highlights using a color burn and color dodge technique finishes them up. In the case study above I demonstrate and highlight a few of the techniques used in a real-world project to create real-world presentation graphics in Revit. 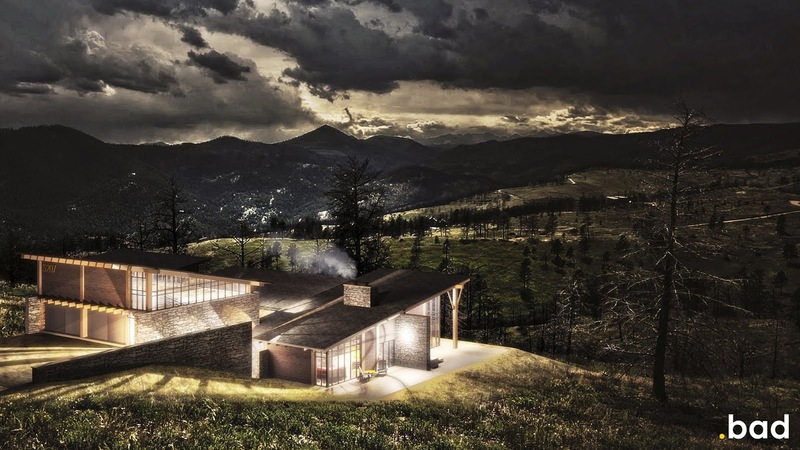 If you want to dive deeper into the techniques, discover new techniques, and even download the full sample Revit model of “Rocky Mountain Modern”, then my latest course BIM After Dark - Volume 1 is perfect for you… And guess what? Enrollment is currently open! As I mention in the video above, Volume 1 is a limited enrollment so I can focus on you, the student, as you go through the videos and help you along the way. The current enrollment session ends on Friday (September 21st) and the next enrollment will not be until Spring of 2019.